The liver – 2nd biggest organ – with lots of work to do. Your liver is your body’s Lowe’s (big-box hardware store). So if you want to build something or repair something, some aspect of that endeavor will usually require a trip to Lowe’s. This is one of the roles the liver performs for your whole body – how important is that. General. The hepatic system (liver+gall bladder) interacts with all the other systems of the body. A sluggish hepatic system is energized by the stomach, and then the hepatic system will energize the lung and large intestine. When functioning well, it encourages proper circulation and blood composition, and when operating poorly, can create extra problems for the kidneys. My clients have taught me that nausea and loss of appetite especially in the morning usually begins here – in the liver, and they report digestive problems – acid reflux, diarrhea, constipation, bloating and gas. AND that poor hepatic function is where diabetes originates. My clients have also taught me that allergies and migraines usually indicate liver function problems, as does many kinds of menstrual problems caused by excess estrogen (the liver removes excess estrogen from the blood). Body Indicators. The muscles between the spine and shoulder blades on the upper mid back (rhomboids) are usually painful or tender from time to time with liver cases, especially on the right. If they are tender also on the left that may mean that the heart has become involved as well, as a result of poor blood quality (a liver function). Shoulder and knee problems point to liver as well as thyroid problems. Other signs include fatigue, and insomnia (due to the liver’s effect on the circulation and blood composition). Some indicators of liver weakness can be seen on the face. Typically if any area of the skin between the upper eye lashes and eyebrow is discolored, supports rashes, itches often or is loose or sagging or swelling (esp. in the morning) this indicates liver function problems. A vertical crease between the eyebrows is a common indicator with the depth indicating the length of involvement. Cravings for sour foods (mustard, pickles, ferments, olives, relish, tart drinks, lemon, etc.) indicate the liver needs cleansing and the lifestyle compensations post has more on what cravings mean. Chronic bad breath is a liver omen. Traditional Chinese Medicine (TCM) Indicators. The quality of the nails is an indicator of liver health. The tendons and ligaments are fortified by well working liver and gall bladder…or not (i.e. chronic tendonitis is a sign of a weak liver). All eye problems point to the liver, especially the uncommon eye diagnoses, or, if the eyes are affected unequally. Liver people don’t like to read for long periods of time as reading (using the eyes) stresses them and they need a break. Anomalies on the middle finger only (crooked, painful, swelling), and a sour taste in the mouth point to the liver. The liver and gall bladder are damaged by anger and resentment but are rebalanced by compassion. Liver people’s decisions are governed by the thought: Why won’t other people make me happy? So those that struggle with relationships due to their own expectations of others may be liver people. German New Medicine Indicators. The damaging issue according to German New Medicine is a ‘survival conflict’. That is, people with liver problems have survival doubts often due to situations they perceive are beyond their control – which make them angry. Present manifestations might sound like “I can’t make it”, “handle it”, “take it anymore”, but the underlying emotion of anger about the inability to control one’s circumstances may be the damaging aspect. Other factors: The major stressor of the hepatic system is anger, resentment and hatred followed by toxic chemical exposure (pharmaceuticals) and then constipation (which is a forgiveness deficiency, that is, reluctance to ‘let it go’). You don’t need to have all of these indicators to convince you of a liver imbalance. Some manifest in the early stages and others at later stages. My clients taught me that chronic feelings of ‘overwhelm’ are indicators of a deficient liver capacity. The liver and gall bladder are both affected by diet, in particular the consumption of improperly prepared grains. Starches thicken the bile which is a substance formed in the liver and is supposed to flow freely from the liver through ducts into the gall bladder where it is held until acid substances exit the stomach. Nerves stimulate the gall bladder to contact at that time and freely flowing bile should exit the gall bladder through the bile duct and into the small intestine and adjust the pH of the food exiting the stomach so the food can be further broken down by pH sensitive enzymes and microbes to extract the energy from it. A diet high in carbs creates digestive sluggishness and eventually the bile turns to sludge and forms stones. Use moderation in carb consumption especially improperly processed grains. To open circulation through the liver, Feverfew HP (#288-1) is the best Western herb 4-6B and Chinese Red Yeast Rice (#558-3) the Eastern preference 2B. To improve overall energy and stamina, which is very important in getting well, is Concentrated Chinese Nature’s Chi (#836-8) 2B 2D until energy and stamina improves and then try reducing. This first step is a must in all serious liver derangements because without blood and energy nothing gets fixed, AND if the liver hasn’t fixed itself, THIS is why. So start here. When energy returns and sleep has improved for a good month, then begin the Gentle Liver Cleanse. With serious diagnoses you should be drinking the Easy Therapeutic Broth. Bad breath is a common complaint of liver people as is a sense of a bad taste in the mouth. If you have other liver signs then begin with concentrated Chinese Mood Elevator (#1035-7) 2B and N-Acetyl Cysteine (#509-7) 2B. When these manifestations clear up your problems are not over so do the Gentle Liver Cleanse. Open 8 capsules of Wild Yam (#745-2) into about 3 cups filtered water in a pot and simmer for about 25 minutes. The tea will be sudsy. When it cools to drinking temperature, start sipping. Take all 3 cups in a 24 hour period and make fresh again the next day. Continue after symptoms have abated for 2-3 days (or more). Repeat once a week for several months. Thick bile is the origin of Gall Bladder problems and as seen above this comes from the liver when the diet is high in carbs and improperly processed grains. 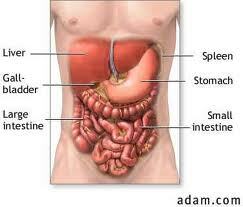 Keep in mind the Gall Bladder is just a bag….a container (of bile). How does removing it fix the fact that it has stones in it? To encourage the bile to come down consider Hydrochloric Acid therapy. No it is not drastic or scary, just read about it and share this cheap cure with others. If you have had attacks in the past consider the dietary advice given here and do 2-3 bottles of Gall Bladder Formula (#1202) per year 3B. Then make sure to keep Wild Yam on hand because these do not occur at convenient times. No, actually, I’m not a fan of the Gall Bladder ‘Cleanse’ with the oil and lemon juice. Just sayin’ before you ask. Hello. How is liver health compromised when the gall bladder has been removed? Do you still go through a normal liver cleanse or is something else required. Basically the gall bladder is just a bag to hold bile which it releases under the command of the Vagus nerve which may receive some stimulus from substances made by the intestinal mucosa. So the ‘bag’ is rarely the problem but rather the contents of the bag (made by the liver) or the controllers of the bag (nerves and hormones), both of which remain after surgery (< - mild rant). The most common problem is that the bile is sludgy and stones can form. Even with the gall bladder gone this can continue to cause problems in the liver ducts. To avoid thick bile scenarios, reduce grains in the diet and consider employing ACV as discussed here. Ok. Thank you so much for your reply. I found your website while researching liver cleanse because my doctor has been hounding me to do one. I am concerned that many of the herbs used for liver cleanse lower blood pressure. I already have low blood pressure 90/60 with occasional dizziness when getting out of bed and/or standing up (adrenal fatigue, RT3 problem, CFS). These symptoms used to be constanst – now just occasional. Will the liver cleanse herbs lower my blood pressure further? I am considering a phone consultation (I am in California). Are you willing to take on complicated cases? Herbs will lower BP if it is high, but if BP is high, is it high for a good reason. The right herbs address the underlying reason why BP is high and thus normalize it. If your BP is low (usually due to Adrenal insufficiency) this cleanse will not force it lower. I trust you are addressing your adrenal issues. Cases may seem ‘complicated’ but usually a multitude of seemingly unrelated symptoms often have a common underlying cause. This turns a ‘complicated’ case into an interesting case. I have been addressing adrenal issues for about a year with lifestyle changes and Isocort and am just now experimenting with Dr. Teitelbaum’s Adrenal Stress end. I am on 110 mcg T3/day and also rectal suspension bioidentical progesterone. No gall bladder (bad mistake). Three full-term pregnancies. PTSD dx at age 20. Currently 35. So many more details, though. Would like to find reason for RT3 problem; maybe a toxic liver. Hi Pat, Thank you for your extremely helpful website. A point of clarification–I wasn’t clear in your instructions– should you take Feverfew HP and the Chinese Red Yeast Rice BOTH at the same time? Or should you choose ONE–either the Western or Eastern? You say one is the best western and one is the preferred eastern, so I wasn’t sure if it was a choice between them or if you should take them both? Also, can you take these simultaneously while you are doing the magnesium bowel cleanse? A gentle approach would be to rotate between the 2 herbs. For example, take C. Red Yeast Rice for a week and then switch to FeverfewHP for a week, noting any improvements with each. You can take these while doing the Mg Bowel Cleanse but I would make sure the bowels are moving nicely before introducing any liver formulas, IF constipation has been a long standing problem. Would the CCNature’s Chi be taken while alternating weeks with feverfew and red yeast rice or after finishing these two? I’d use symptoms to guide me. If you are fatigued or are coming off a long period of illness then I’d def continue CC Natures Chi. If you feel great, try going without it. And if you are somewhere in between those two states, maybe take one every other day. Would you recommend following the instructions on the bottles and taking them until symptoms improve? Or should they be taken for a short time longer? I recommend reducing dosage with symptoms and observing your results. When a person reports that they are ‘improved’ what that usually means is that the problem has gone below their ability to detect it, OR, their ability to balance/manage it ‘under the radar’ has improved. So it may not be gone completely. At this point the doasge can be 1 capsule/week just to nourish the body so it handles your lifestyle/stresses better. Of course, if life happens, and symptoms manifest again, jump the doasge up to the higest level recommended and then titer down again. Would you follow your same liver protocol with Hep C? In this very weakened & inflamed liver state, to get the best results I’d first take the load off the liver and cool down the inflammation in the body before doing the Gentle Liver Cleanse. According to TCM, the large intestine is supposed to keep the liver from getting too out-of-bounds function-wise and the small intestine ‘draws down’ the liver, or burdens it. So to address the liver’s terrain in a wholistic way, I’d consider doing Green Tea 2B, 2D for 2-3 weeks along with Grapine HP 2B, 2D for the same period before embarking on this. I was diagnosed with Barrett’s Esophagus 11 years ago. I have been taking a PPI ever since. Recently, I have been experiencing gall bladder pain, intestinal cramping, nausea, and fatigue. I went to my primary physician, and after he checked my thyroid, I have been experiencing a prickling/burning feeling of my skin…leading to a lot of anxiety. Hey Jim, your symptoms are completely explainable and are a result of the long-term PPI use. Let’s work backwards…when your liver cannot filter your blood (i.e. pull out the irritants)that is when your skin gets itchy, and, that is when you have a sense of anxiety because the blood quality is going down hill. So why has the liver stop filtering the blood? Because the gallbladder has not been emptying and bile is backing up into the liver which creates the nausea. And why hasn’t the gallbladder been emptying? Because the gallbladder empties in response to the acids coming out of the stomach. You’re not having sufficient acid come out of the stomach because of the PPI. That’s bad, but there are things you can do. First understand that the Barrett’s esophagus is dxd due to a tissue change which occurs as a result of the upward pressure of the abdomen against the esophagus base. This has many causes but no matter at this point – you need to relieve that pressure and to do that you have to begin doing the abdominal massage. The good news is that it is cheap. The bad news is that it takes time. Commit to it for a month. This will address the underlying cause that was masked by the addition of the PPI. Next read this post which explains how liver and stomach contribute to digestion and the problems that result when they don’t. Doctors often mask these new symptoms with benzos and steroids. But masking is not going to make you healthy, so just do the ab massage to begin and see how far that takes you. After a month try reducing your PPI a little bit and see if you can manage. Continue the ab massage and reducing the PPI and see how that goes. You can do the Easy Therapeutic broth and drink green teas, but I don’t think you will get the benefit of herbs just yet until your digestion works a little better. Oh and 2 other suggestions: follow your blood-type diet, and reduce grains which tend to thicken the bile. I just came across all this information on liver and thyroid, and it all fits perfectly… what would you recommend as far as starting out with healing / cleansing the liver, and thyroid? What would you recommend, starting out, either with one or both? Any help would be much appreciated. I would begin with the gentle liver cleanse, taking any of the extra supplements if they sound that they fit your situation. You can safely begin any of those herbs, or all of them. You can go by the bottle suggestions. Each step you take, God directs…as long as you are trying to take steps. Hello Pat, thanks so much for publishing so much information on your web site! I have been reading for 3 hours now! I believe I have the liver/gallbladder symptoms as I match every indicator on your list. Last year I had terrible pain and swelling in my upper abdomen every month the day before my period. The pain would be so intense that i’d have to pace the floor until evening when I would vomit and then get some relief. During these ‘episodes’ my urine would be very dark orange. The next day my period would come and my digestion would pretty much go back to normal. In March 2014 I got the familiar pain (it didn’t frighten me anymore bec I had become accustomed to it) but this time I decided to put my whole body into it and vomit as hard as I could (I believe the Lord guides our healing). It was the last time I experienced that pain. I still get some swelling in my abdomen that time of the month but it has decreased greatly. Do you think I dislodged a gall stone? I am certain I have more (ultrasound showed several 3mm stones) and I’m just curious why you’re not a fan of the gallbladder flushes using olive oil and grapefruit juice?? I’m guessing you think they are too harsh. I feel like I need one. Thank you! It is hard to know from here whether stones are involved or no. However, it is always in your best interest to cooperate with with the body is doing. I can confidently say that vomiting is a sign that there is either resistance encountered for the bile going out the normal way, or, the bile is so toxic, that exiting upwards is the safest way for the body to get rid of it. What ever you decide to do it would be advisable to do something like the gentle magnesium cleanse to make sure the normal pathways are open. My husband finally got diagnosed with fatty liver. What us this and what do you recommend? A simple internet search can help you with the fatty liver info. It is a sign that there are too many carbs in the diet and I would consider doing the Blood Type Diet, making sure the bowels are working well, and including more sour-type foods in the diet, eg. pickles, fermented foods, lemon juice, and other sour juices. Which supplements would be helpful would require a more complete symptom picture which is found here. My daughter is gluten sensitive, and after testing, has a gall bladder functioning at 11% according to the doctors. Will the Gall Bladder formula help her? What may help her even more is to follow the diet according to her blood type to reduce inflammation in the body. Then reduce grains which tend to thicken the bile. The Gall Bladder may be having difficulty moving very thick bile. So yes, the Gall Bladder Formula can help but removing the cause of the problem will help things resolve quicker. Plus she will be able to avoid this and many other problems in the future. I came across by chance with your website and am so very thankful for this discovery. I have receding gums and severe bad breath and my eye sight is deteriorating by the day. I also retain liquids from time to time (around the ankles and lower legs). Finally, I’m going through divorce which has me under deep stress and emotions. From reading your website it would seem that I have an issue with the liver (I had hepatitis A in 1993 – unsure if relevant) and digestion. I am unsure as to how to address the liver issue first, with a liver cleanse or with the Eastern or Western circulation enhancers mentioned above in your website. Also, should I simultaneously take the PDA tablets to help with digestion? I will be doing the ph strip test tomorrow morning and will revert with ph levels. As for the teeth, I will be brushing with black walnut first and then do the white oak once teeth are cleansed (I suppose after a week). Does this sound right? I would begin with the Blood Type Diet to improve digestion (and gums and breath) and to reduce inflammation in the body. This will address many of your symptoms, including swelling, and lowered circulation (eyesight, gums). I would also consider the Gentle Liver Cleanse to nourish a weakened liver. This improves the digestion and the mood. And yes, begin with the Black Walnut brushing for a week or so (or until you feel no plaque on your teeth) and then do the White Oak Bark teabag. Observe your gums in the morning to see what kind of progress this is giving you. You should be able to tell a difference in about 3 weeks. Many thanks for the quick response and suggestions. I will revert and let you know how I’m doing with this treatment. I did the PH test on saliva this morning and I’m at 7. The “do not eat foods” for A type blood will represent a challenge for me! but I will give it my best try (I gather Kefir is also out of the question since it’s a milk derivate?). Kefir is neutral for A blood types so it likely will not cause you inflammation problems. I was told that I have a drooping liver. Made me an app. For 2 weeks. Can someone please explain to me what a droopy liver means. Well I guess the best person to ask is the one who diagnosed you with that, LOL. I doubt it means prolapsed although it sounds like it. Depending on the type of practitioner it was, I might guess it means a liver with lowered function. Maybe that person can give you more words to describe your liver. I have hundreds of small stones, and get fairly painful attacks. I’ve managed to limit them by being aware of what foods I can eat, but it’s still somewhat unpredictable and they can start unexpectedly. I don’t want to have surgery or do the olive oil cleanse. I take Chanca Piedra and things to help bile flow, and plan to do your liver cleanse soon. Is there any way I can either get rid of the stones or remove their ability to cause attacks? I’d follow up to prevent new ones, of course. I mostly follow a B-type diet, with organic yogurt and kefir one of the few things I can safely eat. I also tolerate good oils like EV olive, organic coconut, and good-quality butter. The rest is mostly veggies, a little fish, and some bread and cereal free of oil and gluten. Dissolving stones is a process. Part of that process is beginning the day with a warm glass of water with lemon in it. Most sour foods help with bile thinning and most carbs thicken it. The Gentle Liver Cleanse should serve you well. I’m wondering what you don’t like about the Moritz cleanse?